a twelve pound box of fabric! 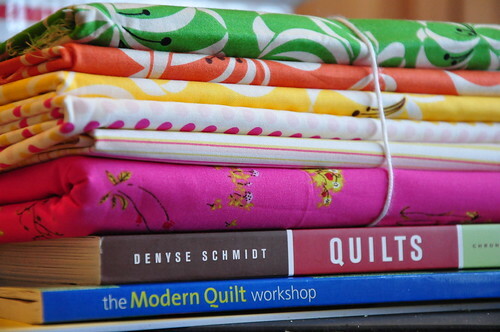 Does anyone have the number to Fabricaholics Anonymous? Things might be getting out of hand around here. that is certainly a wonderful box of goodies! i'm loving all of those katie jump rope prints! Doesn't get much better than that:) Beautiful. These pictures just warm my heart. 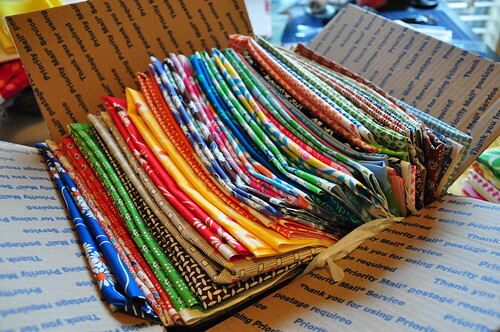 I know the feeling of opening a box of fabric that you have just ordered. You can hardly wait to get home and find the box waiting for you after you place the order. Can't wait to see what you make from it - Enjoy!! You bet that is happiness! The FA# is unlisted. They would be overloaded with calls.